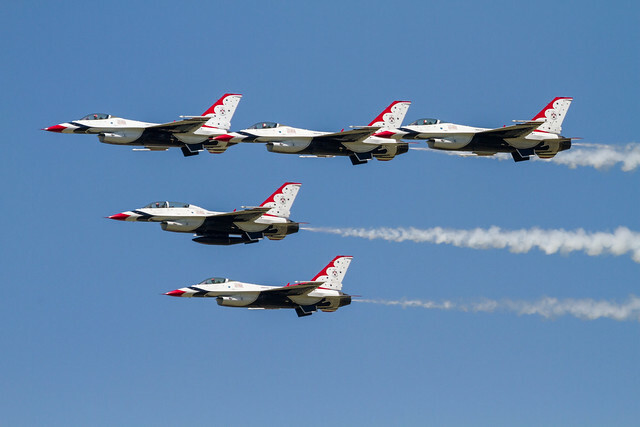 Scott Air Force Base had an airshow last weekend to celebrate the 100th anniversary of the opening of the base. It’s been 5 years since the last airshow so the crowds were large. On Friday though they had an open house for all of us ID card holders. 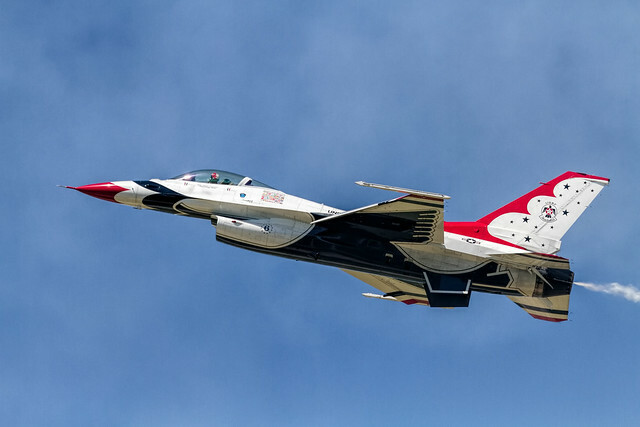 The stars of the show were the Thunderbirds. Here are a couple of shots of them in action.